You find yourself stranded on an island. As you are unable to leave, you venture into the forest in order to survive. As the player, you will guide the protagonist through a series of events. Including the meeting of Goro the dragon. Will you be able to make it out of the island alive? Ocean Blues is a visual novel. 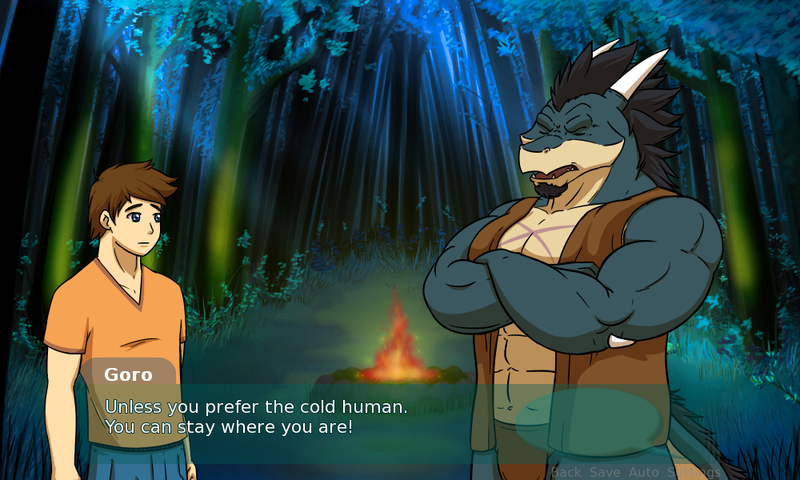 It is a short story about the protagonist and Goro the dragon. There are several endings with one bonus ending to be unlocked.